When people are out looking at garage sales, they want to see a little bit of everything. When prospective customers drive by, they’ll more likely stop for tables that are full of items, than just a few things laid out. Never underestimate the value of absolute junk. If you haven’t used something in the past year, then sell it. Dressers, bookcases, baskets, tables, toys, and tools attract traffic, and be sure to test appliances. Price all items clearly. Customers may assume that unmarked items are out of their price range. Also, be prepared to negotiate. 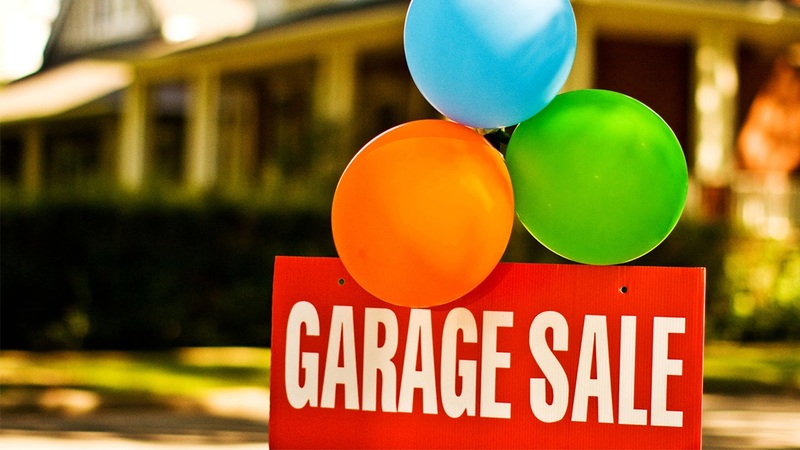 Most garage sale experts say 10 to 30 percent of retail is a fair price. Clean everything! Dirty dishes fetch a far lower price than their clean counterparts. Large items bring the most foot traffic. Experts recommend waiting until you have multiple large items before having a sale. You can also post the information online like Facebook and Craigslist. Always check the weather when planning your sale. Even if you’re having your sale is indoors, bad weather keeps customers at home. Give them away or donate them.